I love to pack nutrition in anyway I can! 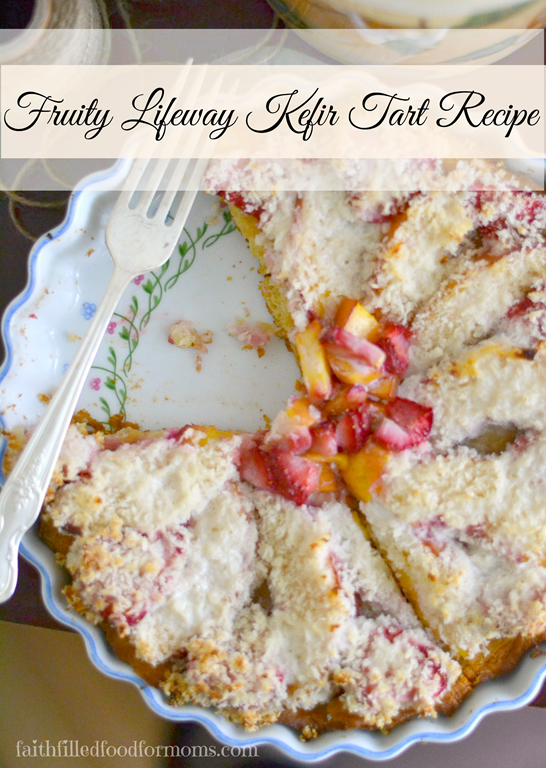 This Fruity Kefir Tart Recipe is sweet, tangy and oh so filling. 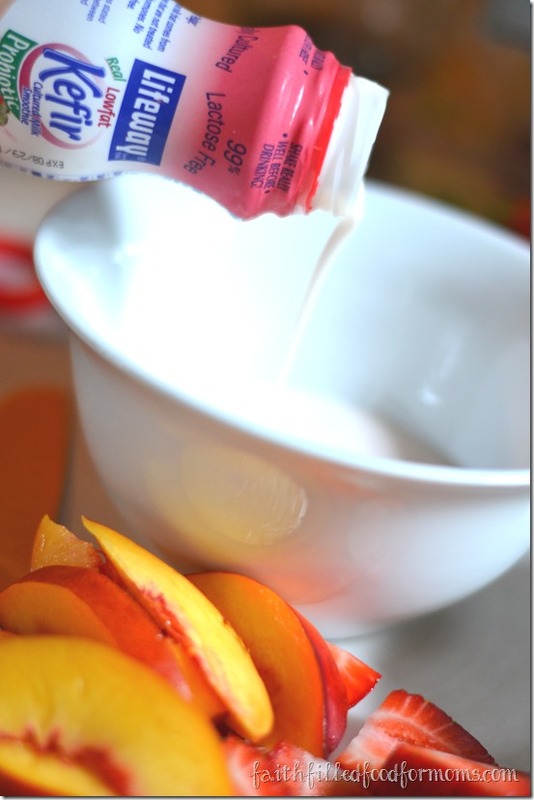 The kids love it and it’s quick and easy! 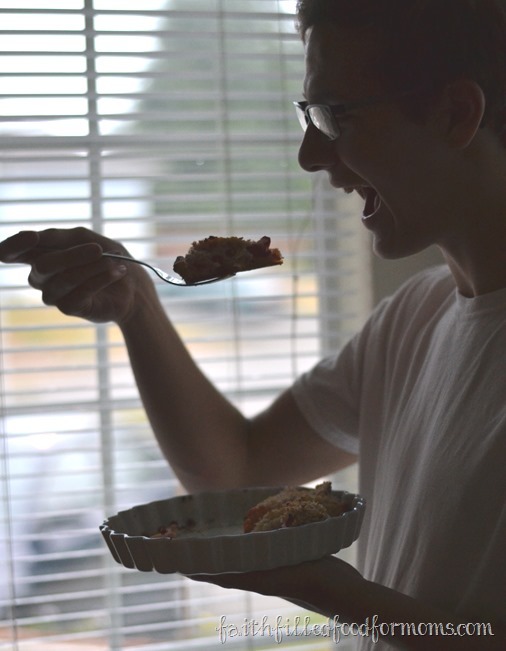 There is nothing like eating something that you know without a doubt is doing good things for your body. You totally know me, I’m always sneaking in yummy goodness to a recipe so that my kids will gobble it up. They don’t even know just HOW healthy it is..shhh don’t tell teens it’s super duper healthy or they will say “Ewww I don’t want that!” I don’t know why.. “Folly is bound up in the heart of a child” HA! However if you fix it and don’t tell them until after, they are happy campers to be eating something so delicious and healthy! I know.. I’m tricky that way. 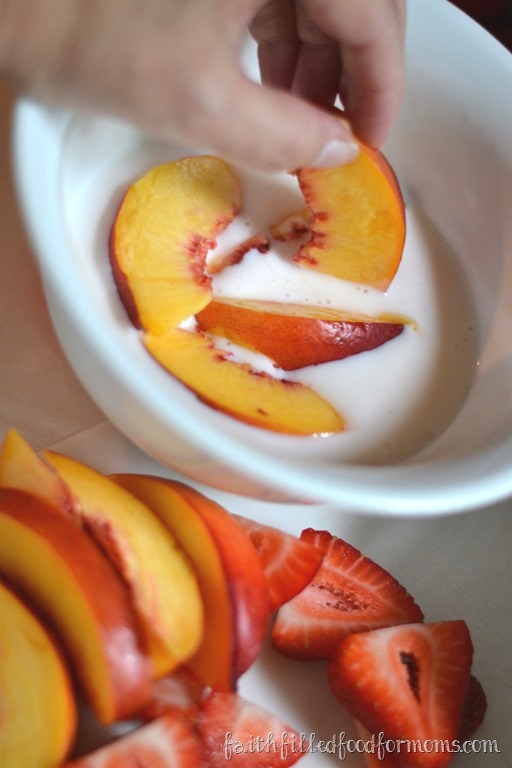 Lifeway Kefir is a smooth, tart, refreshing cousin of yogurt, originating in Eastern Europe over 2000 years ago. There is no doubt about the fact that if you are eating well and take care of your gut that it effects your overall well being. 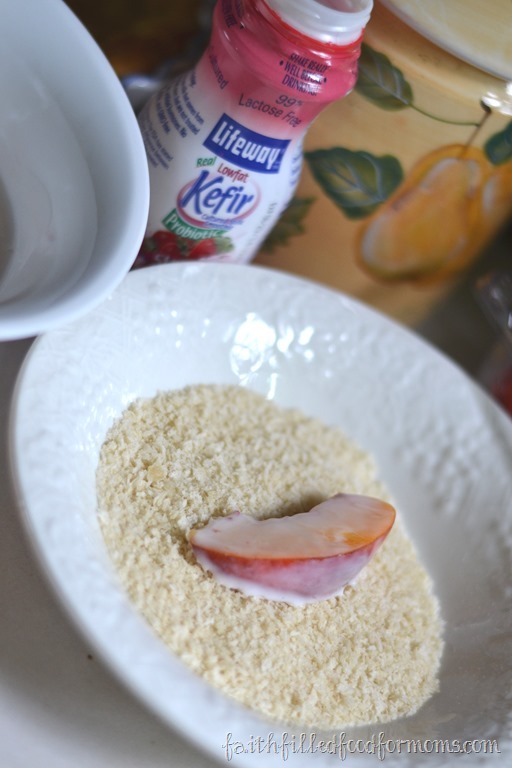 Lifeway Kefir contains 12 live and active Probiotic cultures that support the immune system and balance digestive health. Lifeway also only uses milk that comes from cows that are not treated with pesticides, antibiotics, or synthetic growth hormones. The cows are grass fed and GMO free. So it is my privilege to create this super easy yet super deeelish recipe. 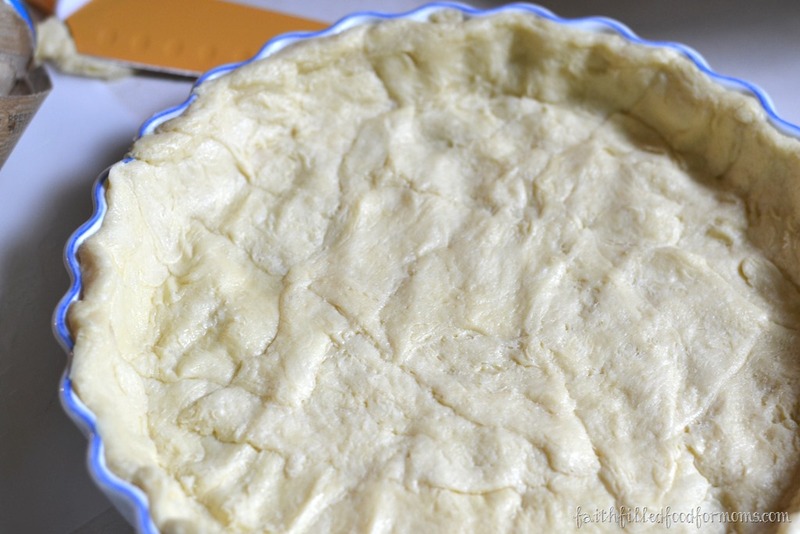 Cut the ends of the Crescent roll dough at an angle and place one by one around the edge of the Tart Pan. Use the left over in the middle. Bake in the oven at 400 degrees for 7 min. We are not going to cook all the way through, just enough to create a firm crust. 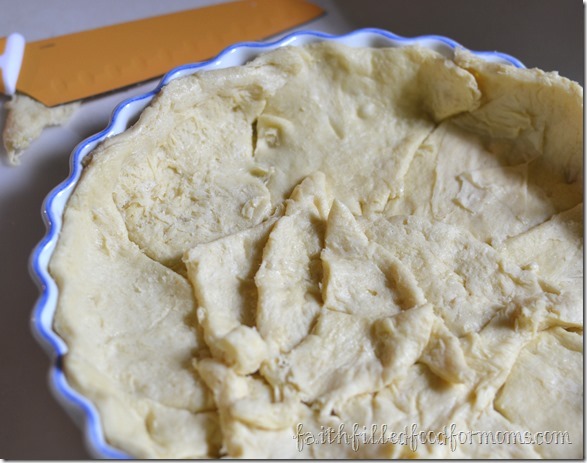 While your crust is in the oven gather up your other ingredients and set out. 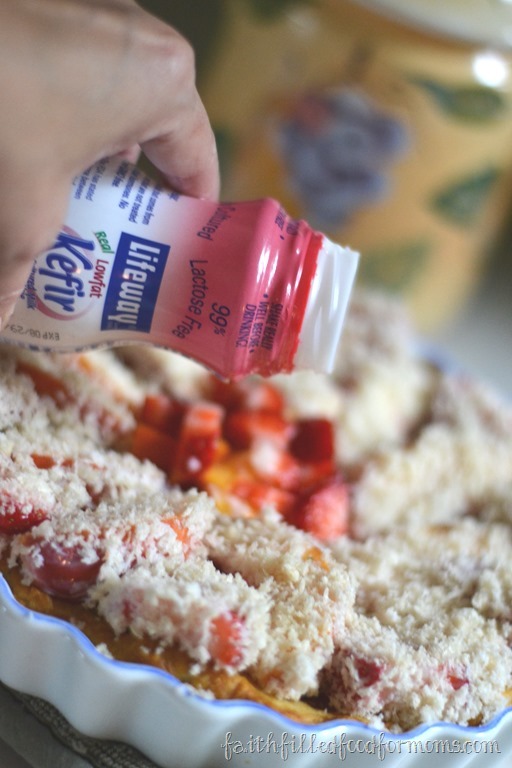 Pour 1/2 cup Lifeway Kefir into a bowl. It’s going to be sort of like a little assembly line. 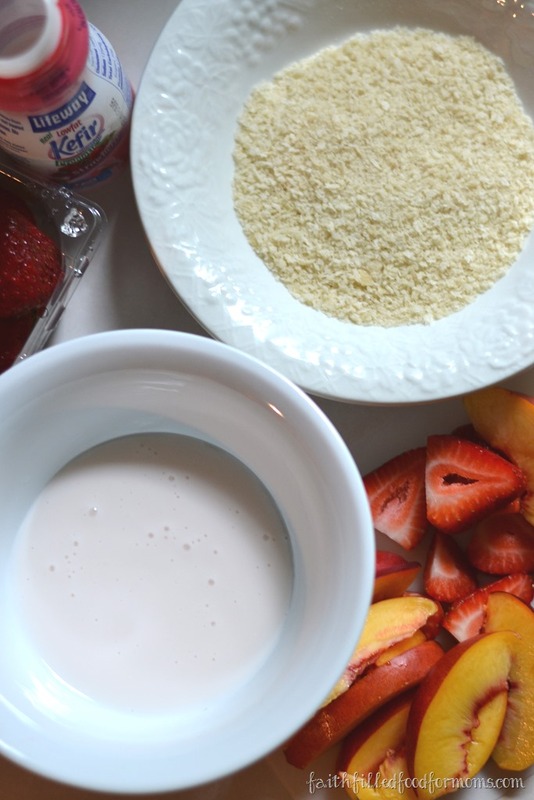 Put your Panko Bread Crumbs into a bowl also and cut up your fruit. Remove Tart Crust from oven and set beside your assembly line. After coating with Lifeway Kefir, place the fruit into the Panko to coat. 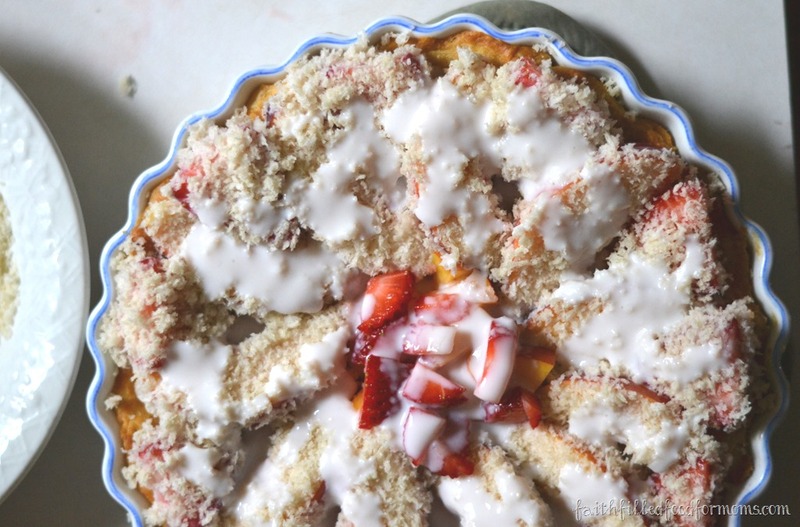 Then place fruit on the tart in any way that you would like to make pretty. Now pour the other 1/2 cup of your Lifeway Kefir over the rest of the Tart. Now bake for 10 to 15 more minutes..you’ll need to watch the crust so as not to burn it. That’s it! Now eat warm or cold! I caught my Son eating all of the leftover from my #KefirCreations when he got home from work! 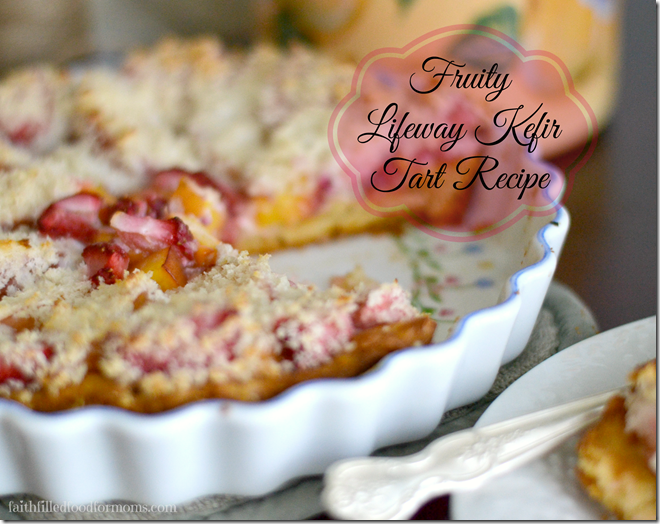 You would never know just how packed full of goodness this Fruity Lifeway Kefir Tart Recipe is! So now that you know..you’ve got to make it!! Would you like some coupons to try out this recipe or just plain taste the goodness of Lifeway Kefir? Hop on over HERE and grab some! Linking up with: Show Me What Ya Got, Weekend Potluck, Made by You Monday, Modest Monday, Monday Musings, Gooseberry Patch and these awesome parties!